We just came across an innovative way to supply those goldfish you’ve bred in your pond with a constant supply of fresh food, straight from the living ecosystem! Here’s how it works. 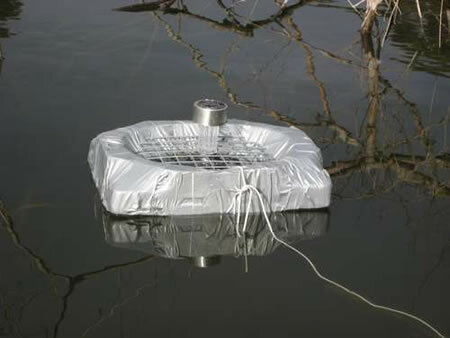 The system includes a device to be placed in the pond. Featuring a solar LED light, it attracts insects in the dark. And once close at hand, the naïve insect is trapped inside, and ends up as a gourmet dinner for you goldfish. This one certainly doesn’t cost much to build and is a simple DIY process, while all you’ll need for it is a LED light that uses solar energy to power up, a float, duct tape and a bit of mesh!